TheRustedChain - The Blog: Happy New Year! Thank you to each of you who take time to read my silly life and leave comments. 2008 was a full year and I'm hoping 2009 is even better! I hope you all have a happy and healthy start to the new year! We have goals- find and buy house. Homeschool- take it slow and easy- have fun! **gasp! ** Really? You like my blog?! Hooray!! 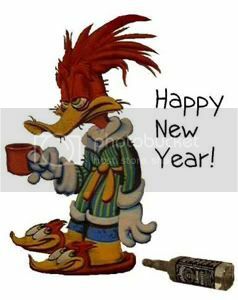 Ha, funny pic :-) HAPPY NEW YEAR to you! All the best to you & yours in 2009!